EXTRA FEES: A $5 fee will be charged for every 10 minutes past your pick up time that you are late. WITHDRAWAL: Written notice of your intent to withdraw from the program must be received by end of day June 9th, 2019 and must be confirmed by KMC administration in order to receive a partial refund. If received by end of day June 10th 2018, a $150 non-refundable, non-transferable administration fee will be subtracted from the enrolment fee before the refund is processed. NO REFUNDS will be given if notice is received after June 9, 2019. REGISTRATION: A student's registration is complete when the online enrolment is approved by the KMC administration. The registration fee, the class material fees and concert fees are non-refundable. REGISTRATION FEES: KMC’s registration fee is $38 with a maximum of $70 (family rate) per academic year. Registration fees are non-refundable unless KMC cancels the class. MONTHLY TUITION: A monthly tuition is associated with each class. This is billed to your credit card on the first of each month (Aug & Oct-->June). Senior keyboard and YGE registration do not have a monthly tuition. *September tuition is withdrawn on August 1/2018 or on the date of enrolment if after this date. WITHDRAWAL: Written notice of your intent to withdraw must be submitted before the end of the month. Upon confirmation: a withdrawal fee of $100 will be charged and you may continue to attend classes till the end of the month. *NOTE - Withdrawal before the start of your class in September - written notice must be received by end of day July 31, 2018 in order to receive a full refund, minus the registration fee. DECLINED PAYMENT: A $25 NSF fee is applied to a students account if more than one declined payment charge occurs within the academic year. LESSON START DATE: KMC reserves the right to postpone the start date of a group class. CANCELLATION OF A CLASS: KMC reserves the right to cancel any class with low enrollment that has not started. Every effort will be made to transfer the student to a similar class or offer an alternate option. LENGTH OF LESSON FOR SMALL GROUPS: KMC reserves the right to adjust the length of the lesson time at any point in the year should the size of the group class decrease. MISSED GROUP LESSONS: Missed group lessons on your part (illness, vacations etc.) are not rescheduled or refunded. MISSED PRIVATE LESSONS: A maximum of three private lessons can be rescheduled by the student provided that a minimum of 24 hours notice is given. WEATHER-RELATED LESSON CANCELLATION: KMC does not make-up lessons for the FIRST weather-related cancellation. GROUP MAKEUP CLASSES (cancelled by KMC) - Make up dates are identified on the school calendar. If you are unable to attend the makeup class it will not be rescheduled or refunded. Class times are announced 1 week prior to the date. NEW - PRACTICE COACHING: Taught by students with a YGE Gr.7+/RCM Gr.6+ level and supervised by the director. They must be booked in advance and are non refundable. *NOTE - The academic year is from September 1 to August 31. 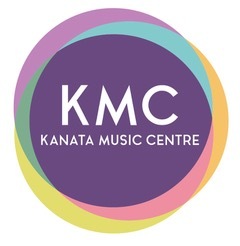 Copyright © 2019 Kanata Music Centre. All rights reserved.